There is even more downloadable content being released for Devil May Cry and the Bloody Palace DLC only got released today! 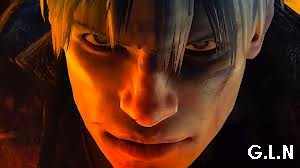 The new add-on is called Virgil’s Downfall and you will play the part of Dante’s brother Vergil. The add-on will get a release date of March 5th on the PSN and will cost around £4 to buy. Gamers will be able to get this DLC from the PlayStation store real soon on the date stated above. The actual title of the DLC does not look good for Dante’s brother, as the character may well be killed off very quickly. Perhaps it is down to the player to make sure that this doesn’t happen by using their skills and completing the levels. Remember, Bloody Palace is available now for free if you have successfully completed the main campaign mode.